The metro’s work-in-progress cinema culture has lately come of age due to a montage of things. Alexander Payne making movies and bringing world-class film artists here. A surge of indigenous indie filmmakers. The advent of Film Streams. The slate at Omaha’s “original art cinema” – the Dundee Theatre. 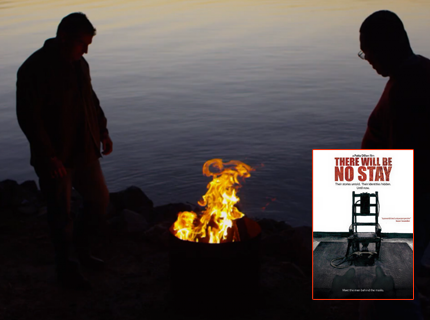 The film flips the typical death penalty debate by profiling two men, Terry Bracey and Craig Baxley, who worked as executioners in the same state prison and by charting the trauma that carrying out those awful duties caused them. They’re still paying the price today. OFFs roots are squarely in the state’s small but robust and ever expanding indie film scene. Founders Marc Longbrake, Jeremy Decker and Jason Levering have a history making or working on indie projects. A decade ago they saw a gap in the Omaha film scene, which never really had a full-fledged annual festival before, and they filled it. Now that Omaha has its own version of bigger, better known festivals, area residents can see work unlikely to play cineplexes otherwise. Festivals are the take-what-you-get buffet of cinema-going. There are choices representing different cultures, styles, genres and influences. But the menu wholly depends on what films are entered and curated for this screen feast. Some entrees (features) and sides (shorts) are safer bets than others. Some come with a track record and others are unknowns. With upwards of 100 films in play there are hits and misses, and so the operative advice is watch-at-your-own-risk. However, if you’re a film buff with an appetite for something different, then you owe it to yourself to try this cinema smorgasbord. You can always design a sampler menu of your own choice. Longbrake says there is a place for a mid-size festival like OFF that lacks world premieres of marquee industry and indie titles. “There’s a ton of people out there making movies that aren’t part of the Hollywood system,” he says. “The only way to really see independent films in a theater, except for the off-chance they’re picked-up by a Hollywood distributor, is by going to film festivals. So you’re seeing a different kind of movie. Sometimes low budget, sometimes without a recognizable star, although familiar faces do turn up. The fest’s not all about the voyeuristic ritual of viewing movies either. The art and craft is explored at the OFF Filmmakers Conference and Writer’s Theatre program. A slate of OFF parties bring film geeks, fans and artists together for celebrating and networking. This self-conscious art film portrays three disparate people whose physical disabilities don’t stop them from being fully engaged artists. Alice Wingwall is a much-exhibited Berkeley, Calif-based photographer and filmmaker who happens to be blind. Graham Sharpe is a musician with a severe auditory condition. In his native Ireland he writes and performs music and runs a major music festival. Katie Dallam is a Spring Hills, Kan. visual artist who suffered traumatic brain injury in a boxing match that inspired Million Dollar Baby. Her art before and after her injury is markedly different, In the spirit of Errol Morris, filmmakers Patryk Rebisz and Erinnisse Heuer-Rebisz use assertive techniques to create a visually stunning if sometimes overdone palette that gets inside the head of its subjects. Morgan Schmidt-Feng’s portrait of the dissolution of a Calif. farm family, the Prebliches, plays like a dramatic film as tragedy and ill-fate befall the clan. The troubles of these salt-of-the-earth folks symbolize what happens to many small farm families. The story’s emotional heart belongs to Nancy Prebilich, who carries on despite losing it all. Nancy Prebilich, who carries on despite losing it all. When an unhappy man fears his adult son may be turning into him, he concocts a scheme to spend a week with him in New Orleans to set him straight. As the pair’s insecurities and resentments come tumbling out, their relationships with the women in their lives come undone. James Morrison and Bobby Campo find the right notes as this awkward, strained yet loving father and son, respectively. This opening night film debuted at Sundance. It follows the adventures of 16-year-old Jay, who travels from Scotland to the 19th century American frontier in search of the woman he’s infatuated with. Newcomer Kodi Smit-McPhee stars as Jay. Co-starring are Michael Fassbender as Silas, the mysterious man Jay hires to protect him, and Ben Mendelsohn as one of the hard characters Jay confronts. The closing night film is another young man in peril story, this time set in contemporary Montana. In his rural town Dwayne (Liam Helmsworth) captures something on video he shouldn’t have and bad men with mean intentions come for after him and his girl. Co-starring Teresa Palmer, Billy Bob Thornton, John Malkovich, Bruce Dern and Oliver Platt. 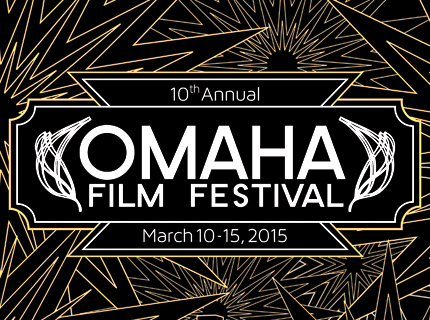 For tickets and festival schedule details, visit omahafilmfestival.org.